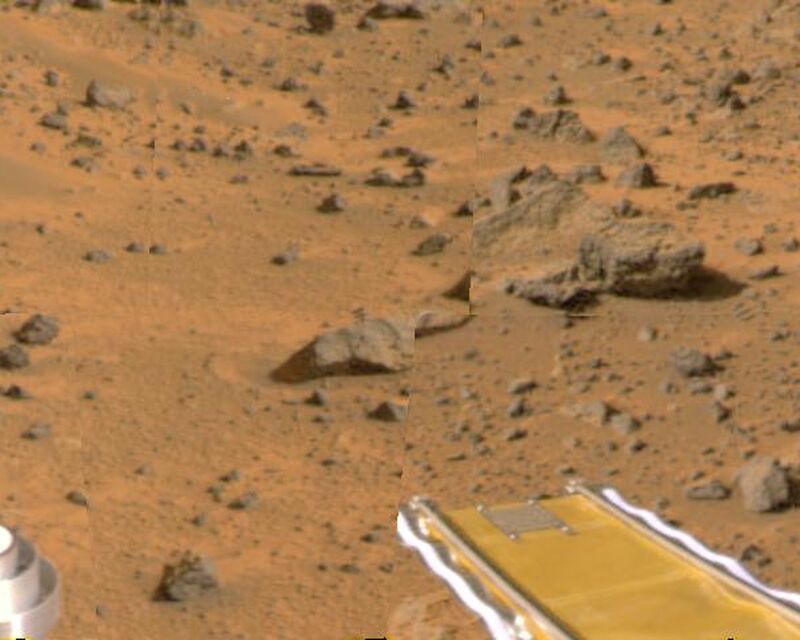 Mars Pathfinder's forward rover ramp can be seen successfully unfurled in this color image, taken at the end of Sol 2 by the Imager for Mars Pathfinder (IMP). This ramp was not used for the deployment of the microrover Sojourner, which occurred at the end of Sol 2. When this image was taken, Sojourner was still latched to one of the lander's petals, waiting for the command sequence that would execute its descent off of the lander's petal. 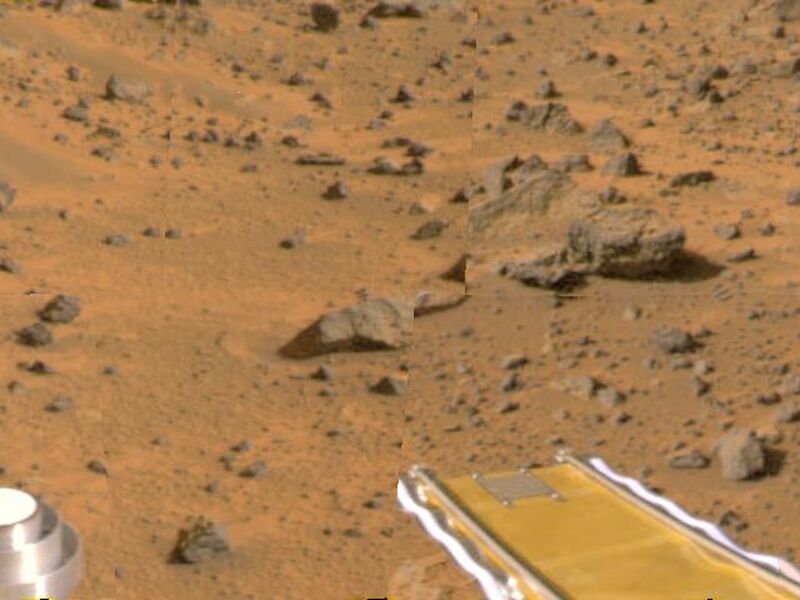 The image helped Pathfinder scientists determine whether to deploy the rover using the forward or backward ramps and the nature of the first rover traverse. 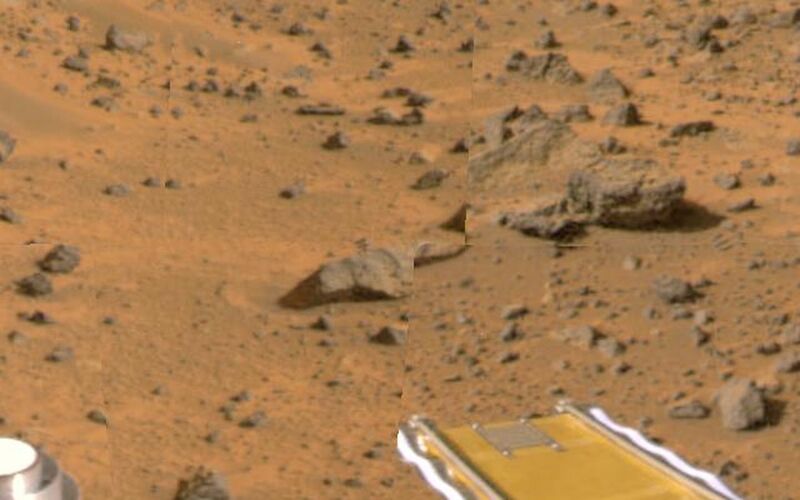 The metallic object at lower left is part of the lander's low-gain antenna. The square at the end of the ramp is one of the spacecraft's magnetic targets.